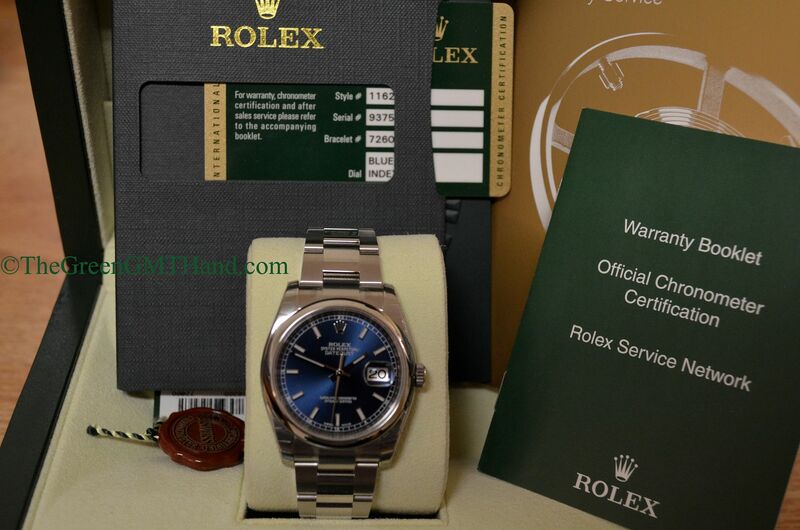 Brand new unworn random serial Rolex 116200 Datejust with blue stick dial, purchased from an USA authorized dealer. 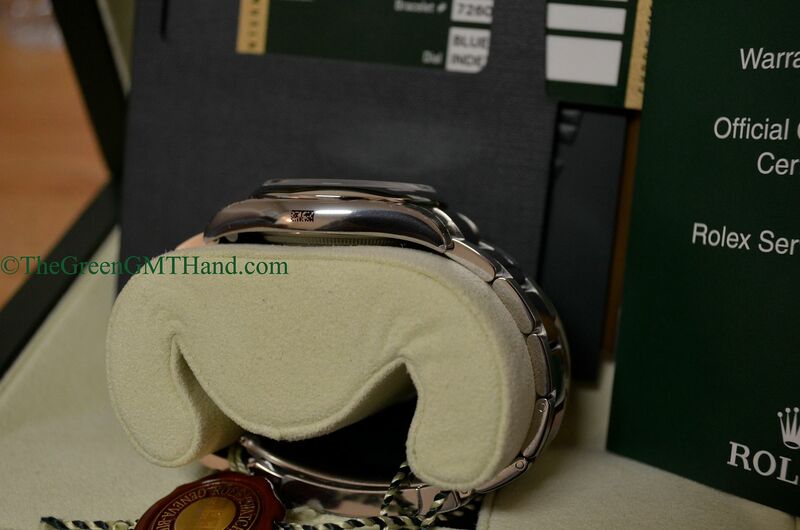 We sold this to our client in brand new sealed condition with all original factory protective plastics intact. 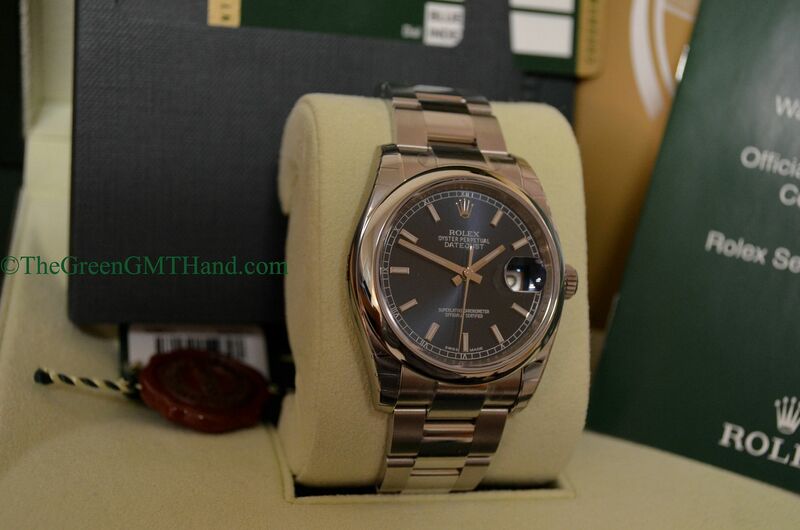 The Rolex 116200 Datejust is 36mm, and replaces its predecessor the Rolex 16200 Datejust. 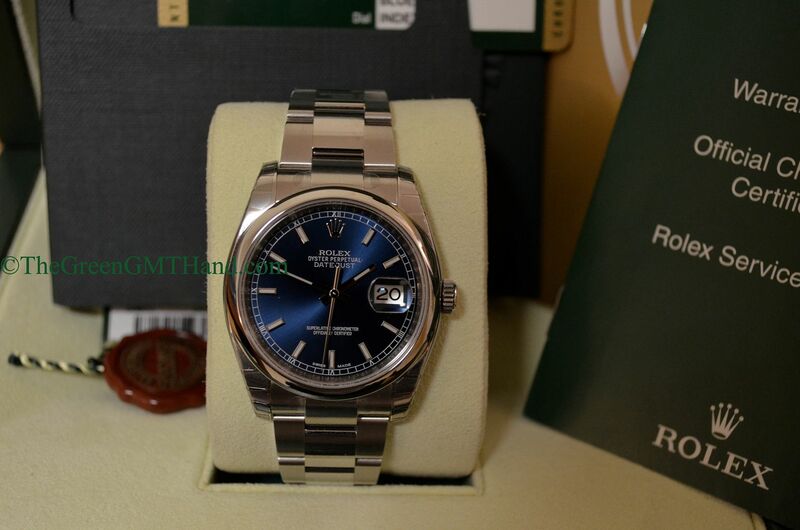 This model receives a new REF 72600 bracelet but retains the same caliber 3135 movement as the discontinued 16200 Datejust (it does however receive the parachrom blue hairspring upgrade in the movement). 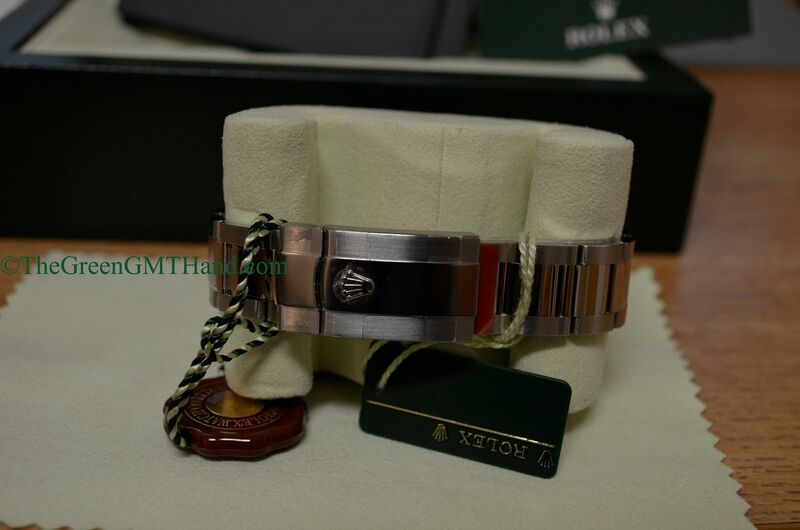 The 72600 bracelet features solid middle links and an upgraded clasp with easy link comfort adjustment system. 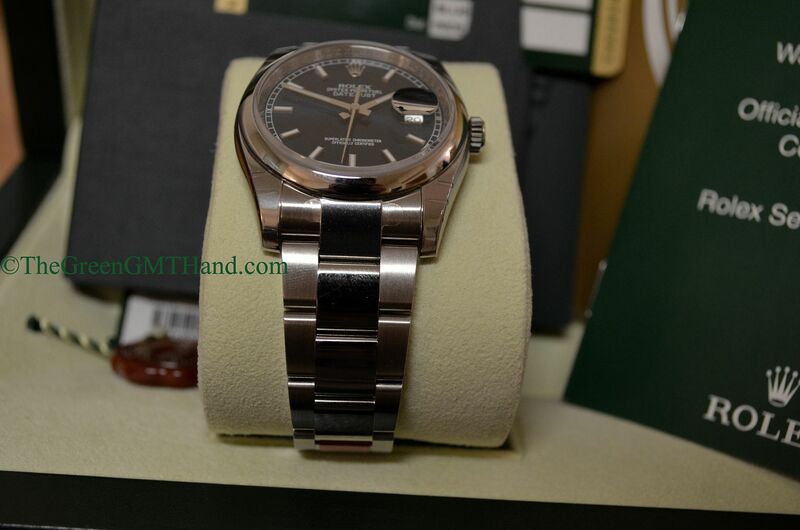 The 116200 Datejust also comes on a jubilee reference 63600 stainless bracelet, and a white fluted bezel (model 116234). 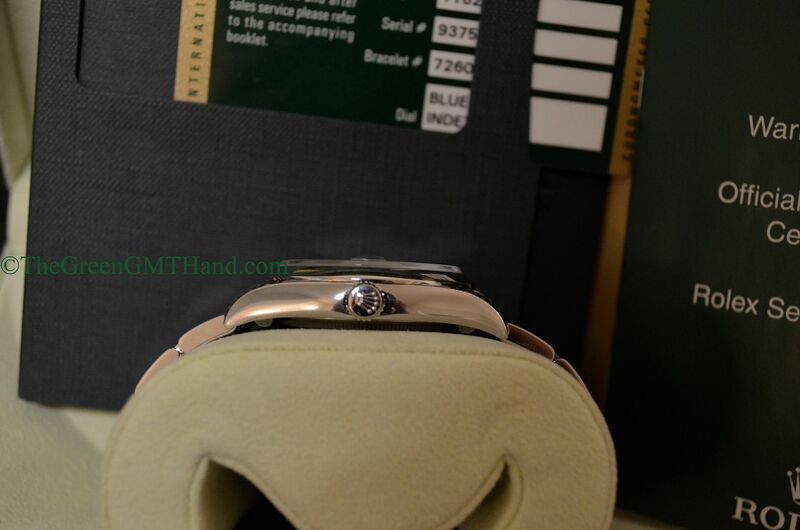 There is the 116244 diamond bezel 36mm Datejust as well. 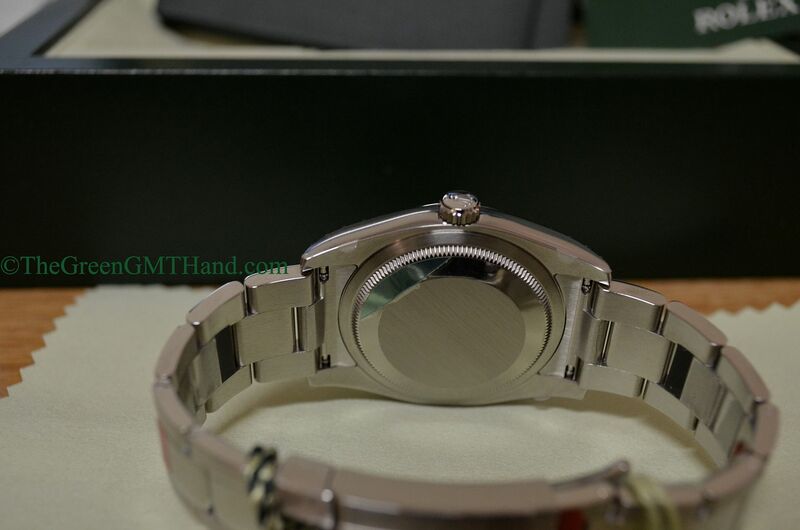 The 116200 is a stainless steel smooth bezel model. 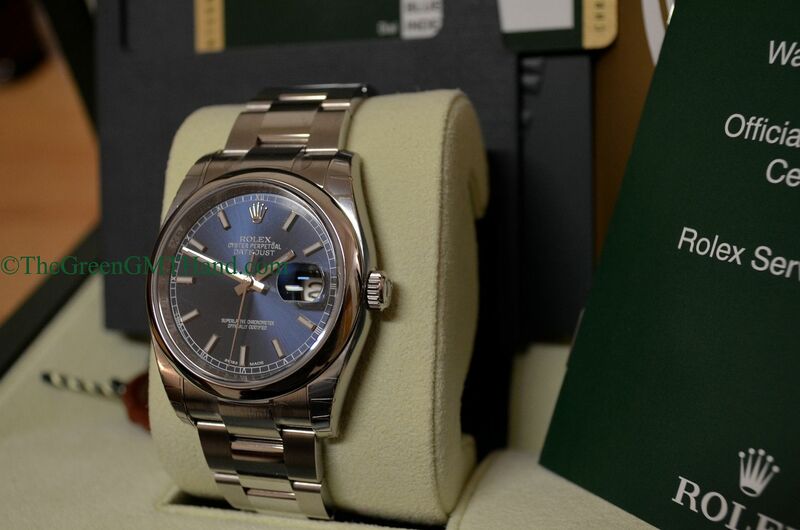 The wide variety of dial options, two bracelet choices, and factory bezel options makes the Datejust still the best selling model in the entire Rolex lineup. 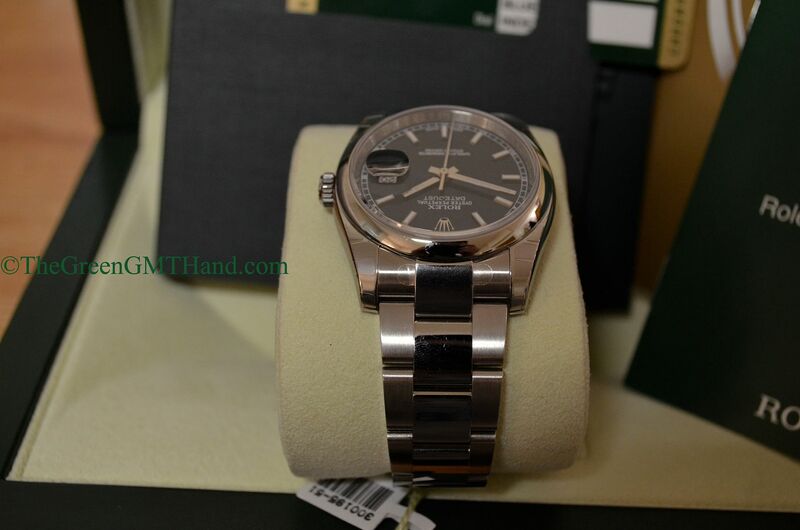 This 116200 was SOLD and delivered to our buyer complete with original boxes, manuals, warranty card, and both the green serial number hang tag and red chronometer tag still factory attached.